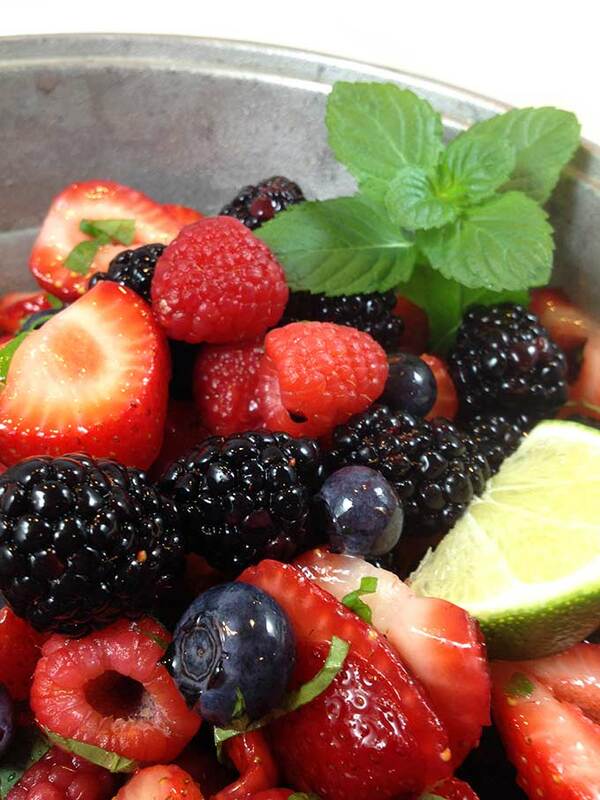 Grand Marnier Berry Salad: raspberries, blackberries, blueberries and sliced strawberries come together beautifully with fresh mint and a light, tangy and sweet lime Grand Marnier dressing. Spring is the perfect time for trying new recipes and keeping the menu pretty and light. It’s springtime here, though it hasn’t felt like it weather-wise. But today the sky is azure blue and the sun is warmly shining. I’ll take it. Because in just a few days it’ll be April 1st, otherwise known as April Fool’s Day. And there is 5-10″ of snow forecasted. Ouch. I thought it was April showers that bring May flowers. Not April blizzards. For now, I’m going to forget all the weather predictions. Because, hey, forecasters have been wrong before. So let’s talk fruit salad. 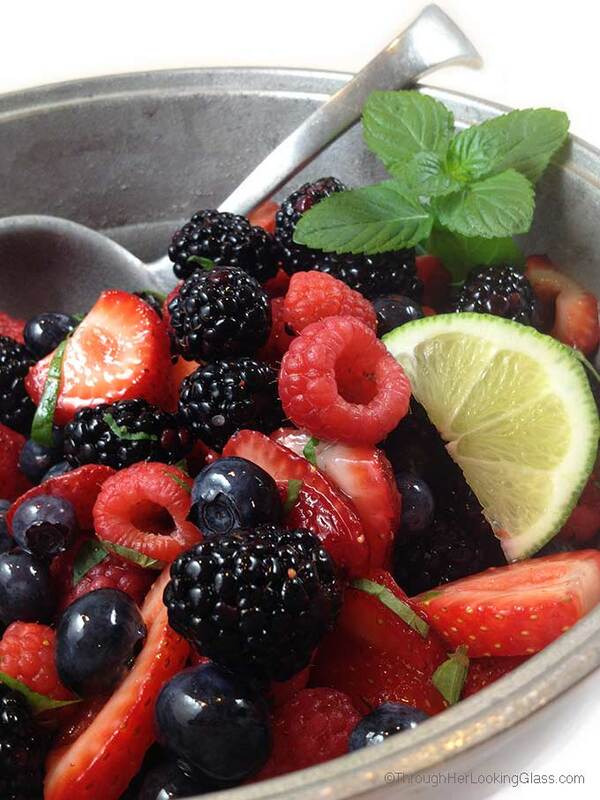 This Grand Marnier Berry Salad is so refreshing, perfect for upcoming picnics and barbecues. Have you noticed we gravitate toward bright colors? Especially after a long, cold winter. Humming birds do too. 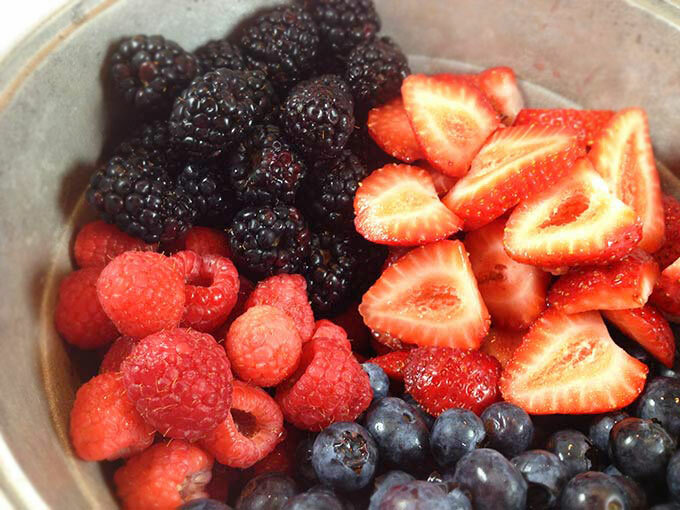 Love the bright colors and fresh flavor of the berries in this salad, especially the blackberries and raspberries. I got these ones at my grocery store, and hopefully you can find some good ones too the store or farmer’s market even now. Fresh squeezed lime juice gives this salad a little tang, and the aromatic fresh chopped mint complements the berries beautifully. Fresh squeezed lime juice, honey and a splash of Grand Marnier coats the berries with tangy and sweet. Fresh chopped mint is so aromatic, it really gives this gorgeous berry salad zing. Another thing I like about this salad is that it’s so quick to make, but it always go really fast. Just rinse the berries well in a colander, then slice the strawberries and chop the mint. Whisk the light dressing ingredients together and pour over the fruit. Garnish with fresh mint springs! This berry salad is so pretty, it’s the perfect addition to the menu for your next spring shower or brunch. 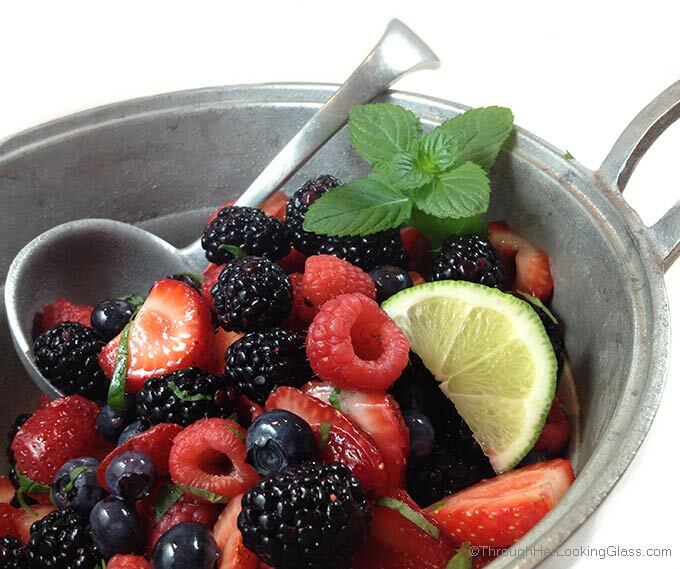 Place all rinsed and drained berries and chopped mint in a serving bowl. Separately, whisk together fresh lime juice, honey and Grand Marnier liqueur. Pour evenly over fruit and stir gently to coat. Garnish with mint sprig and lime wedge if desired. Berries... Yum!!!! I will definitely be trying this one. By the way, the photographs for your recipes are so beautiful!! Perfect for a summer picnic or bbq! I loooooooove berry salads so much! If only for the colors. But this one has that Grand Marnier twist, which is amazing! 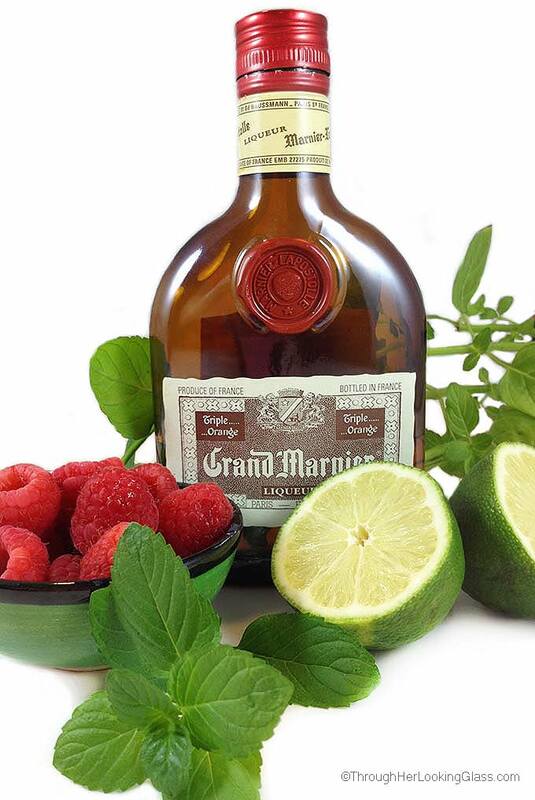 I love fresh berries with mint, but have never thought to add a splash of grand marnier--wow! This is sure to be good! So pretty - looks luscious! This looks like the perfect salad for the weekend. So much flavor. I always love adding mint to my fruit salads! I now have the perfect salad for Memorial Day! Thanks, Allie. Boy is everyone going to be jealous but I had some of this last night and my oh my, yummy! yummy! Can't wait to make this!! This looks fabulous...I love berry salads and the Grand Marnier twist...sold! Can't wait to try it! What an absolutely delicious looking fruit salad! Love that twist to the "dressing"!!! This looks so fresh! Perfect for summer parties! Oh Grand Marnier is one of my favorite liqueurs to use in the kitchen! 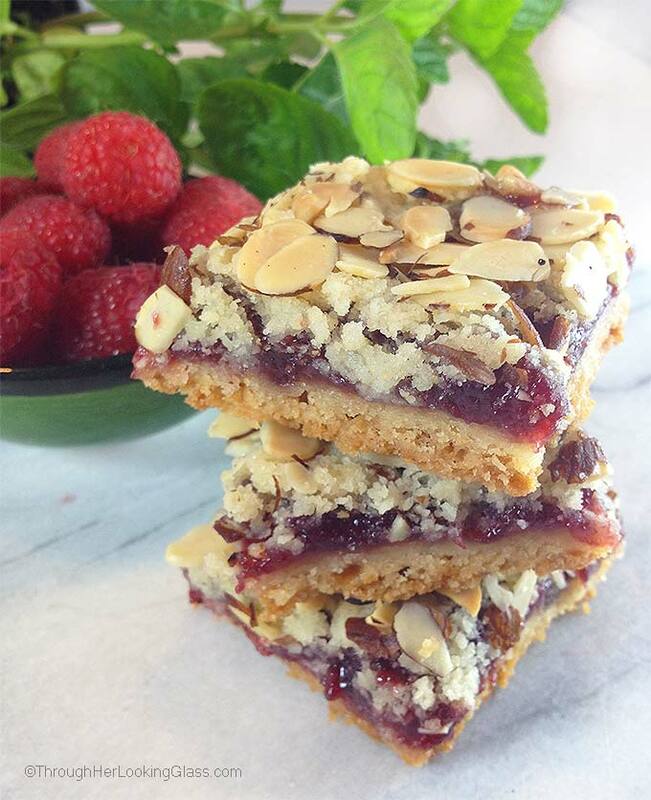 This is a wonderful dessert to have, especially in the summertime. Love how fresh and colorful it is, too! I can think of SO MANY uses for this "salad".... !! This looks absolutely fantastic Allie! I could definitely go for this! Can't wait to try it! I love love love this. I mean, let's put booze in all of our salads. 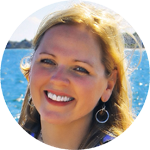 And I'm so happy to have found your blog, since I'm also New England based. Always fun to connect with another local blogger! Cheers! This is indeed a refreshing and delicious summer salad that takes advantage of the fruits in season and I bet the splash of grand marnier adds another layer of flavor to this gorgeous dish! How delicious and light this is. Perfect summer salad. I just so happen to have a bottle of Grand Marnier too! This is such a perfect salad for this time of year, whether snow is in the forecast or not! It's gorgeous! And oooohhhh, Allie, I love the addition of grand marnier! I am obsessed with all the berries and that means this pretty berrlicious salad is calling my name, Allie. Springtime is best for enjoying fresh food. Absolutely loving the idea of adding booze to the salad. Now I am craving for the tangy and sweet flavors this salad has to offer. Wishing you a great weekend my friend. This looks so incredibly delicious. I love a berry salad, but Grand Marnier on top just seals the deal. So yummy! Perfect for summer. Love! What a yummy sounding dressing for a beautiful berry salad! Berries are my favorite!! Looking forward to trying it. Allie your pictures are just gorgeous!